Previously, the idea of climbing with so many people may have bothered me but after climbing mountains, camping in nature and being outdoors for a few years, I have found myself far more accepting of crowds. The craving to get away from society has noticeably diminished and seeking pure solitude has dropped down my list of priorities. 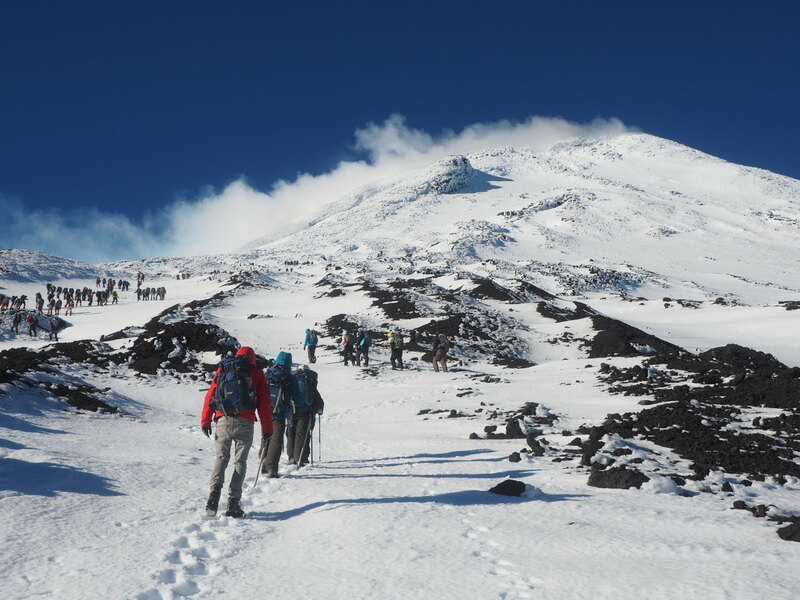 Before signing up to climb Volcano Villarica, my concerns were heavily focussed on not being able to race to the top at my own pace. However, I found the medium-paced trudge uphill somewhat calming and I welcomed the opportunity to meet people from all across the world. 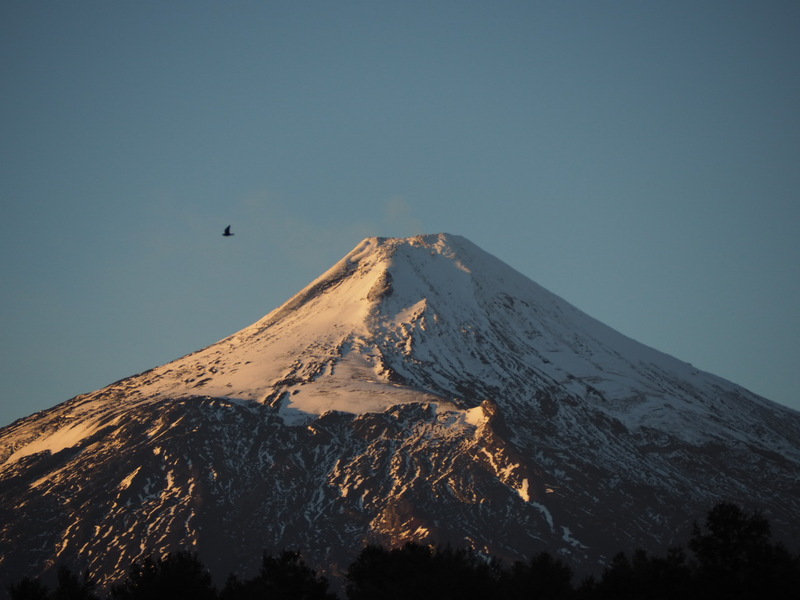 Volcano Villarica (2847 metres). Rude not to? 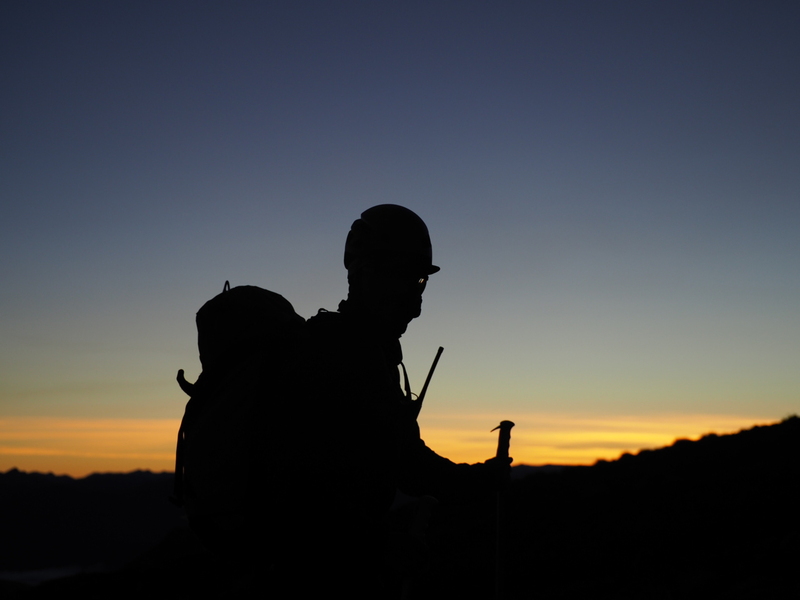 Mountaineering often involves climbing through the night to avoid the increased risk of rock fall when the sun starts melting snow and ice the next day. Here, however, we start sauntering up at sunrise. 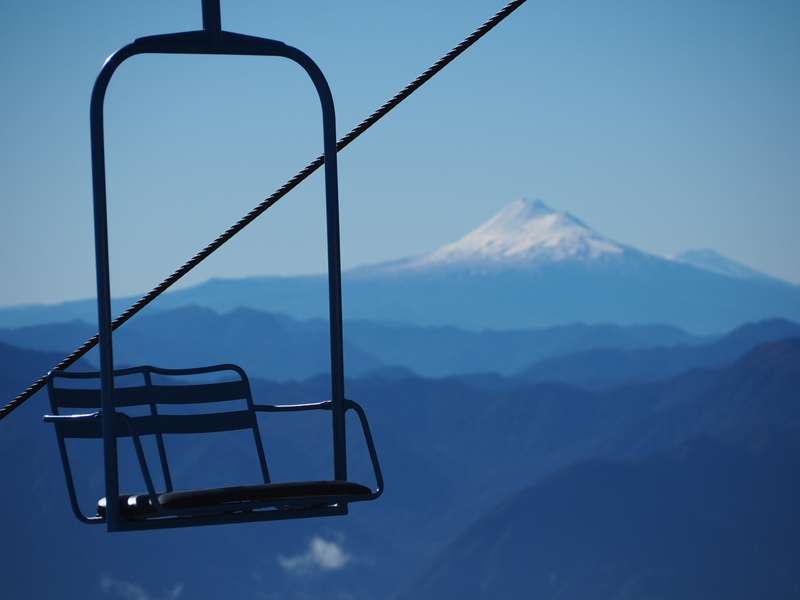 We reject the option to take a 10000 peso chairlift a quarter of the way up, the weather looks good and there appears to be no need to save time. 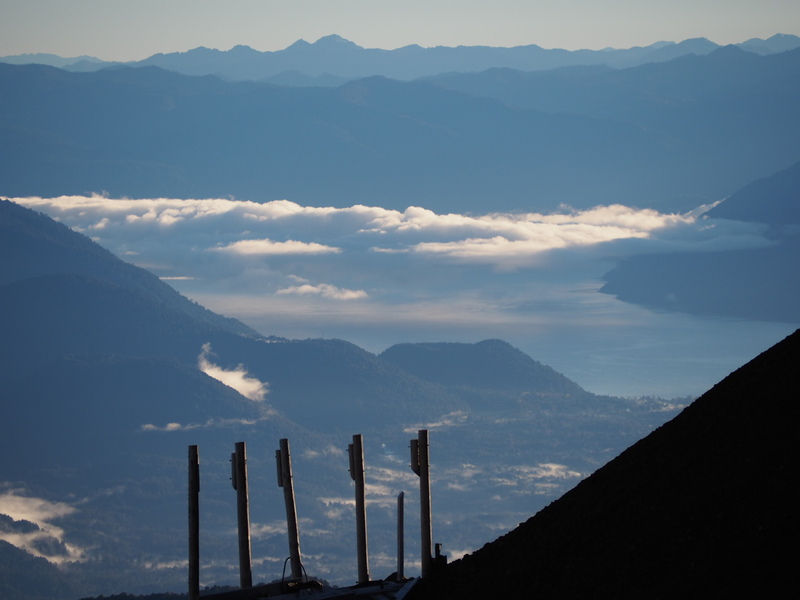 Almost immediately we are treated to impressive views of Pucón and the surrounding lake fest. Our pace is slow but steady and we make some surprisingly good progress uphill. On goes the gas mask. Although not obvious here, vapour is pumping out of the crater obscuring the lava. Due to the health risk only 10 minutes are permitted at the crater’s edge: park rules. Members of the group are irked, 50 metres away people seem to be enjoying a better view into the crater. Our time is up, however, and no amount of pressure can sway our guides. It’s a remarkable day for rainy season and a few minutes later, the shenanigans in the crater are forgotten. 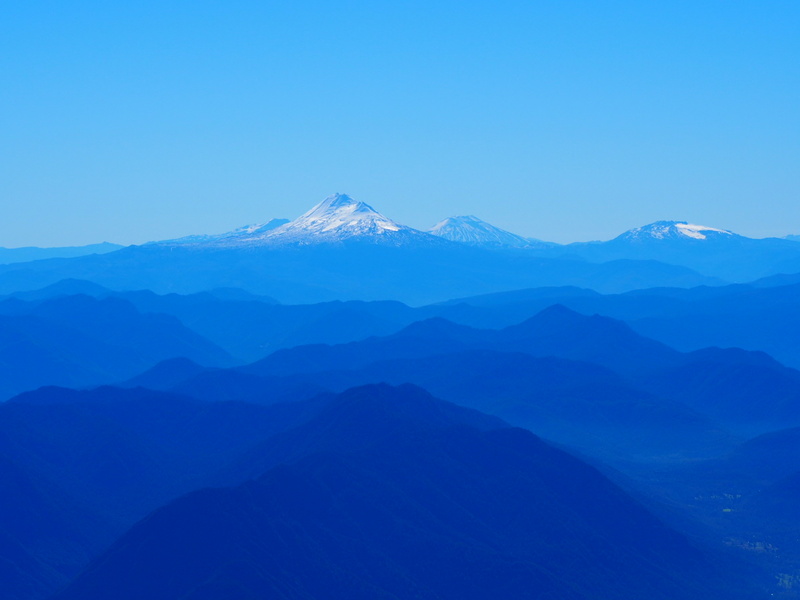 With no cloud in sight, there are some memorable views of Volcano Lanín. We take advantage of the snow and ice and slide halfway back down the mountain on our backsides controlling our speed with our ice axes. …and onto the transport waiting for us below. 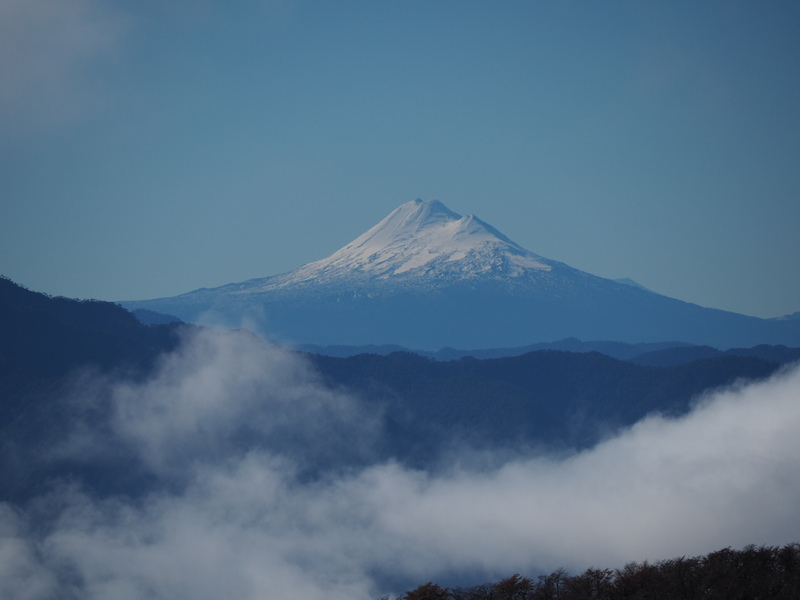 One last look at Volcano Lanín. My next destination as I head towards my third border crossing into Argentina. 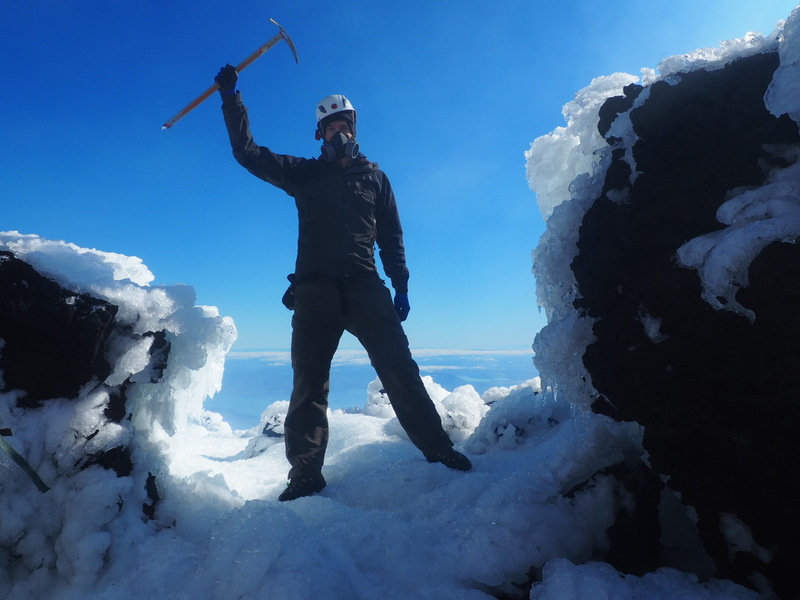 In spite of being covered in snow and ice, Villarica (2847 metres) can be an easy volcano to climb if you get good conditions (like we did). We didn’t even need to use our crampons. Under icy conditions it would undoubtedly be a little more challenging. You’re obliged to take a guide (or bring your own kit and convince the park entry of your experience). Cost? An eye watering 75000 to 80000 pesos, everything included except food. The climb starts out at around 1400 metres but you get can a chairlift for 10000 pesos to around 1800 metres (we didn’t but it could be a good idea if there is a threat of midday cloud cover at the top). 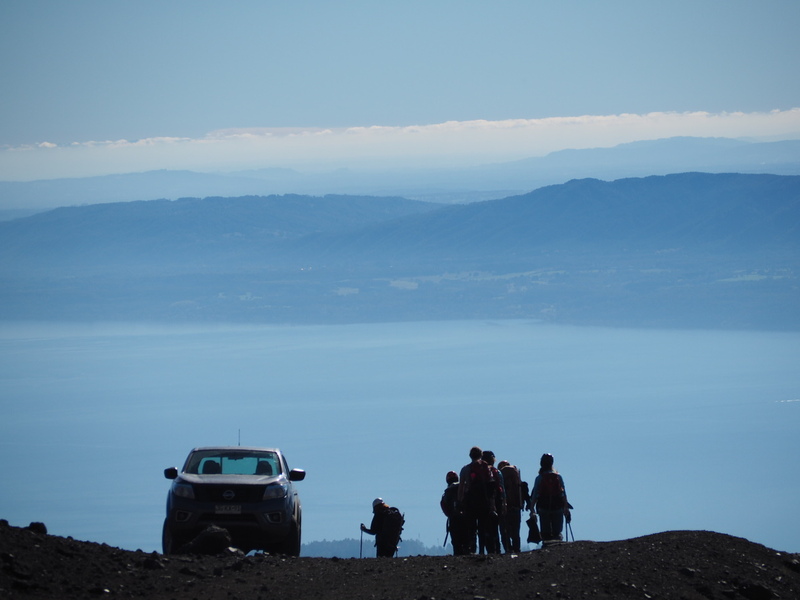 You’re only allowed 10 minutes at the top to peak into the crater.